There are about as many good cheap blackjack games on the Vegas Strip as you might have expected. In other words, there aren’t many. Where you do find good cheap blackjack you should expect that there are only one or two of these tables at most of the casinos listed below. They should be easy to spot since you’ll probably see a large crowd at these tables so you might have to wait for a seat. 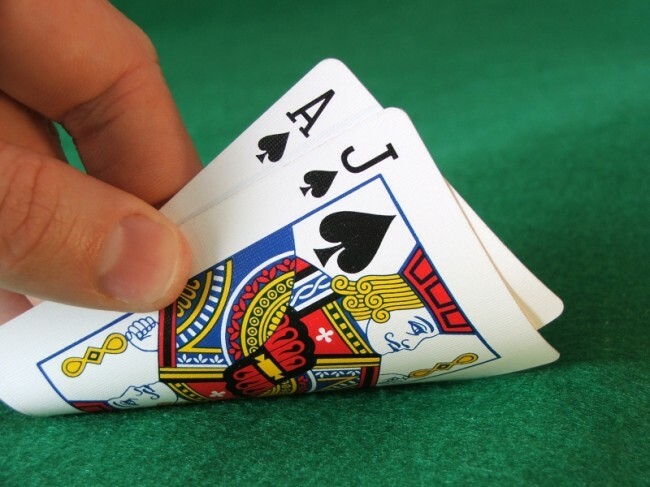 For simplicity, I’m using $15 as the cut off for cheap blackjack and just listing the house edge of the games. I’m also listing the casinos alphabetically, and not by the smallest house edge. You can see the full survey here. The list is great and has information on all blackjack at every casino in Las Vegas. Is This The Real Caesars Palace? Caesars Cyber Week traditionally offers their best sale prices of the year. Links and details for each hotel are below. This year Caesars is adding additional 5% off for Cyber Monday. Details from Caesars: The Year’s Biggest Hotel Savings Are Here! Take advantage of Caesars Entertainment’s limited time-only Cyber Sale. From the iconic Caesars Palace to value rates at lively Harrah’s, warm up your winter with these hotel room discounts. Rates as low as $30! Book Today. *Reminder, discounts don’t apply to resort fees. A Beer Park with a view of the Vegas Strip! What a great idea! They promise 100 different beers, which sounds great until you realize that these will be all be Budweiser beers which you can get anywhere. You can see the list on wikipedia. While not all of the beers are garbage they’re nothing special. The naming idea sounds like someone at Caesars Entertainment said “we need some quick cash” and this was the easiest venue with available for naming rights that they could sell. Regardless, I love the idea and the location and will probably check it out at least once. Here are full details from the press release. 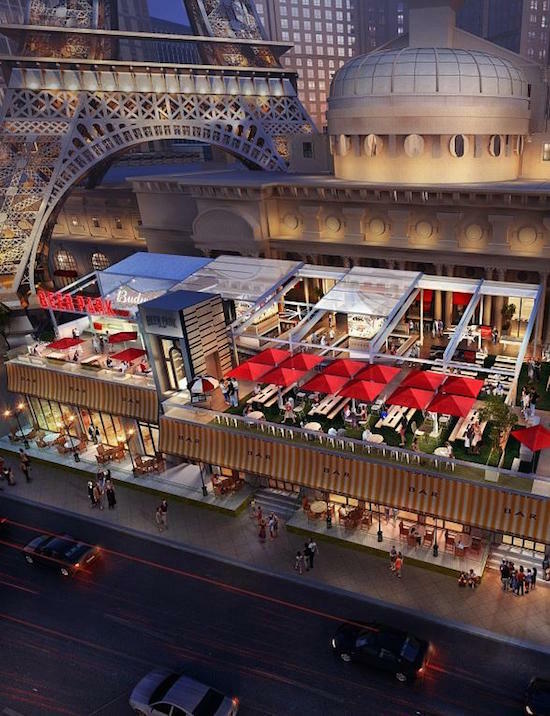 Starting in early January, visitors to Las Vegas can enjoy a bird’s eye view and an ice cold brew at the new Beer Park by Budweiser at Paris Las Vegas, the city’s first rooftop bar and grill. Located on a 10,000-square-foot deck overlooking the world famous Las Vegas Strip, Beer Park will feature an outdoor grill, picnic tables, and more than 100 draft, can and bottle beer selections, including 36 beers on tap. The bar menu will also include craft beer cocktails, signature cocktails and wines on tap, as well as other wines and specialty drinks, including an array of Bloody Marys. The atmosphere will be ideal for watching football games and other sporting events, with towers on each side of the bar housing dozens of high-definition televisions, which offer premium views of the game from any seat. All-American cuisine will be served from the menu as well as from roaming carts serving concession-style offerings. Grill selections are the specialty, with meats and other foods prepared on a custom-made Budweiser Beechwood Grill, which imparts the flavor of the beer into anything from burgers, brisket, ribs or sausages. All food selections will lead back to Beer Park’s namesake offering, with a recommended pairing for every item, as well as items that will be prepared using different types of beer such as bratwurst bathed in Goose Island IPA and pickles prepared using Stella Artois Cidre. Beer Park will take stadium sweets over the top with items like gourmet funnel cakes and a signature ice cream cart. Chicago-based design firm, Gensler, has created an atmosphere that combines the feel of a classic baseball stadium and the communal charm of a city park with the spirit of Budweiser; a nostalgic combination that evokes Americana charm. The arrival begins on the lower level, where takeaway offerings such as souvenir cups filled with takeaway daiquiris and beer will be available for purchase. A spiral staircase leads to the upper level, revealing an open-air “park,” designed to bring people together through various seating experiences, including communal picnic tables that encourage socializing and a grassy lawn to play classic bar games like pool, bean bag toss and darts. High top tables line the rail overlooking the Las Vegas Strip, and a private VIP area is ideal for corporate outings, bachelor parties and other large parties. A rectangular bar is the centerpiece of the room, seating 80 guests. The dining room seats approximately 200 guests, and in total, the space accommodates up to 500 guests. Modern touches infiltrate the classic design of wood with metal accents, with high-tech features such as taps that pour beers at 31 degrees, the optimal temperature for Budweiser, as well as cold “plates” at each seat of the bar to keep beers cool. Customizable audio is available in various parts of the venue, including the VIP room. A DJ booth is located near the gaming and VIP area, where a DJ will spin weekends and other nights, as well as for special events. A retractable awning offers shade in the daytime, and a view of the stars at night. Misters and heaters ensure a climate-controlled atmosphere any time of year. Marriott announced that they will be buying Starwood Hotels this morning. This comes on the heels of Starwood announcing that SLS Las Vegas will be a part of their Tribute Collection last week (see article on Travel Zork). Part of the SLS connection is that Starwood would be changing the Lux tower at SLS into W Las Vegas. A Starwood sale wasn’t a secret but Hyatt was becoming the favorite to buy them (see article on Travel Zork). This deal was made because most of Marriott’s rooms before the purchase were in the United States. About 2/3rds of Starwood hotel rooms are outside of the United States. Marriott now has 1.1 million hotel rooms around the world. Starwood’s biggest connection with Vegas is through its current affiliation with Caesars Entertainment. The SLS program will begin in December and W Las Vegas will open mid-late 2016. Marriott’s current Vegas Strip affiliation is with the Cosmopolitan. Since the Cosmo was sold last year it’s been rumored that they will eventually join Hilton in some way. Might the Cosmopolitan become a Starwood hotel? I know at least one person that will lose his mind if that happens. Details on the merger of the programs haven’t been released yet. The press release is more financially driven. It’s possible, but unlikely, that Starwood and Marriott will remain separate brands that would keep their individual loyalty programs. Marriott would be the hotel partner for almost half of the hotels on the Vegas Strip (12 of 26 or so). That’s kind of a big deal. Look forward to more information to follow next year. PS: Starwood Hotels and Starwood Capital are not the same company. This old rumor is probably just be a coincidence. 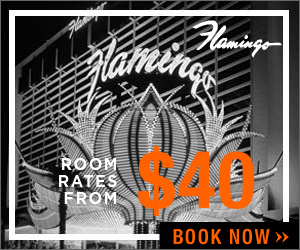 Caesars semi-annual sales usually offer good prices on Vegas hotel rooms – especially if you don’t have a higher tier status with Total Rewards. Here are links and approximate discounted prices (deepest discounts are for weekdays) for the Caesars Las Vegas hotels. The sale extends to Atlantic City and other markets if you’re looking to go elsewhere. 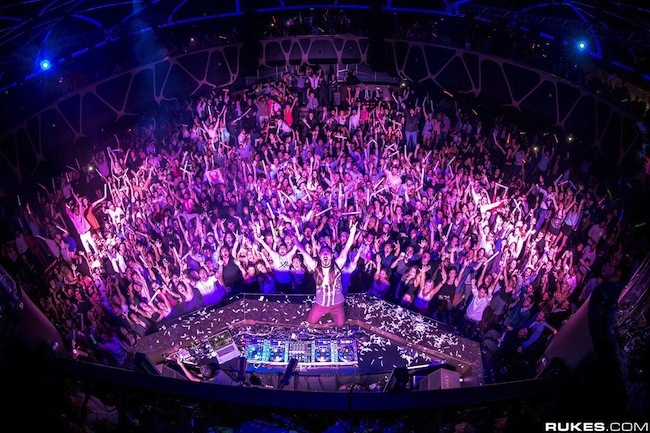 XS, Hakkasan, Marquee and Tao were the top 4 nightclubs in America in terms of gross revenue in 2014. In fact, 7 of the top 10 grossing nightclubs and bars were in Vegas and 15 of the top 100. Not too shabby. If you’ve ever wondered where to party in Vegas then here’s a good place to start. Below is a breakdown of all of the Vegas nightclubs and bars on the Top 100 list from Nightclub.com. 4 of the top 100 bars and nightclubs in America are at the Cosmopolitan. That’s not surprising because the Cosmo is my favorite bar on the Vegas Strip. Chandelier Bar (floor level) is one of my favorite bars to sip on a drink and hang out in all of Vegas. Last year they added video poker to this beautiful bar so you can get excellent comp drinks while you gamble. WIN! What is surprising is that Chateau at Paris, Lagasse’s Stadium at Palazzo and The Bourbon Room at Venetian are in this list generating between $5 million and $15 million in 2014. To be honest I didn’t know Chateau was still open, I thought Lagasse’s Stadium was considered a restaurant and had no idea people went to The Bourbon Room en masse. Caesars just released happy hour deals at some of their Vegas bars and restaurants. Happy Hour in Vegas is a great way to save money and get the night started or just try something new. I’m not a champagne drinker but the $36 All You Can Drink deal at Fizz sounds like something I’d like to try one night. It’s a good excuse to try something different. Plus I can drink champagne fast. I highlighted names of the restaurants and hotels where you can find them. On a related note, if you need discount codes for Caesars hotels in Vegas there are various discounts to the right. I also just got this “up to 40% off” deal. 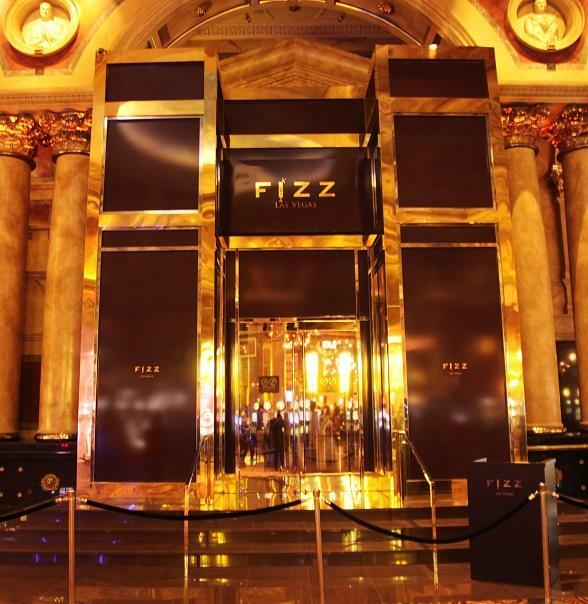 FIZZ, the lavish champagne lounge and bar inside Caesars Palace, is now hosting Bottomless Bubbles, a daily bottomless champagne event, where for $36 per person, guests can drink all the bubbles they can within the 5 to 7 p.m. or 7 to 9 p.m. windows. With a recently expanded dining room and outdoor patio, including a full-service bar and 26-ft. tall Tiffany-style lamp, Serendipity 3 at Caesars Palace is now hosting a special $5 happy hour from 2 to 6 p.m. daily. The menu features a variety of beers, well cocktails and house-made sangria. Also featured are small bites like soft pretzels with nacho cheese and honey mustard, two bbq pulled pork sliders and mini-sundaes. Las Vegas’ favorite pub experience, Gordon Ramsay Pub & Grill at Caesars Palace, has introduced a very special Hell’s Kitchen Happy Hour, in honor of Ramsay’s hit FOX reality series. Happy hour offerings include $5 13oz draft beers, with a $2 upgrade for a 20oz pint, $5 draft wines, and $5 pub snacks, which include house-made pretzels, Devils on Horseback, truffle chips and Deviled Eggs. Guests can experience these special offerings Monday through Friday from 2 p.m. to 5 p.m.
Overlooking the world-famous Strip, Las Vegas’ only Ruth’s Chris Steak House at Harrah’s Las Vegas, is now hosting a daily Sizzle, Swizzle & Swirl Happy Hour from 4:30 to 5:30 p.m. and from 9:30 to 10:30 p.m. Premium cocktails and menu items are offered throughout this time, including: Prime Burger with fries, Steak Sandwich with fries, Seared Ahi Tuna, Spicy Lobster, Bluberry Mojito, La Paloma, Manhattan Eastside and selection of wines. Carnaval Court at Harrah’s Las Vegas joins in the happy hour fun, offering a daily special of $4 Miller/Coors from 11 a.m. to 3 p.m. Sunday through Thursday, $8 call drinks are available as well. Harrah’s Las Vegas country music party spot, Toby Keith’s I Love This Bar & Grill, hosts its own brand of happy hour Monday through Thursday from 11:30 a.m. to 4 p.m. with a variety of food and drink specials. Guests can buy one draft beer in a 32oz. Mason Jar for $9 and get one free. Food specials are available for $11 and include pulled pork sliders, hot link hoagies and the Honky Tonk meatloaf sandwich and more. The sophisticated New York City import, BLT Steak at Bally’s Las Vegas, boasts a stylish bar with elegant fixtures and signature cocktail staples, including the Watermelon Basil and the Cool Woodford with Woodford Reserve and Ginger Beer. Guests can enjoy these cocktails and more half-priced at the bar from 4 to 7 p.m. daily. Offering a French interpretation on American classics, Burger Brasserie at Paris Las Vegas hosts a daily happy hour from 4 to 7 p.m. with 2-for-1 on any drinks in the bar area. Flamingo Las Vegas’ cool and casual steak house, Center Cut, is hosting an all-new happy hour that includes swanky bites such as signature Poutine, bacon two ways, truffle mac and cheese, as well as Giggle Water cocktails such as Spice Pear Mojito, New Fashioned and Patron Pomegranate Cocktail. Center Cut’s happy hour is offered daily with drinks available from 4 to 7:30 p.m. and bites available 5:30 to 7:30 p.m.
Sauza Silver Margaritas in 16oz. souvenir shakers for $12, $6 Jack Daniel’s or Jim Beam “You Call Its” and $10 Coors Light or Miller Lite bottle with a shot of Jack Daniel’s or Jim Beam. Village Bar’s happy hour is Sunday through Thursday from 3 p.m. to 5 p.m. and 9 p.m. to 11 p.m. with $12 Sauza Silver Margaritas in 16oz. souvenir shakers, $6 Skyy Cosmos and $6 shot specials. William Hill would take over operations of the Caesars Palace sportsbook once the current renovations are complete. This will essentially be a trial run for William Hill only at Caesars Palace. No other Caesars Entertainment properties will be a part of this initial trial run. If all goes well at Caesars Palace then William Hill will take over operations of all Caesars Entertainment sportsbooks. 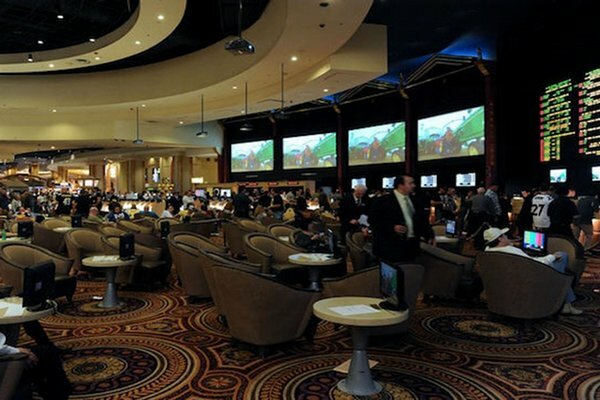 Caesars Entertainment operates the casino and sportsbooks at Bally’s, The Cromwell (kiosks only), Flamingo, Harrah’s, Paris, Planet Hollywood, The Quad and Rio in Las Vegas in addition to Caesars Palace. This isn’t the first time that there has been discussion about an outside sportsbook operator taking over activity for Caesars Entertainment. Back in 2011 and 2012 there were heavy rumors that Cantor Gaming (now CG Technologies) would take over operations. That ended with legal problems at Cantor Gaming. I asked William Hill for a comment and they said “We don’t comment on rumors.” I’ll pass on more details as I hear them. Rumors about Caesars Entertainment filing for chapter 11 bankruptcy protection gets louder every day. It’s easy to poke fun at a business failing but the ramifications from filing for bankruptcy can be good for both Caesars and casino customers. Read chapter 11 details here, you can read about more debt restructuring here and you can read about their unrealistic projections for Suffolk Downs here. I want to look at the day-to-day operations that affect me and people like me. When/If Caesars files for bankruptcy they’ll be forced to deal with their outstanding debt problems. The easiest way for them to pay down their debt will be to sell off some of their assets. Some of the assets that may be sold include Bally’s and Showboat in Atlantic City. These properties have long been rumored to be on the market for years but they may have to finally pull the plug to get some quick cash. Las Vegas may see Caesars shed a combination of Bally’s, Paris and Rio. I’d be surprised if Paris was a sold but it’s one of Caesars most valuable non-core Las Vegas hotels and they need cash. I think Flamingo and Harrah’s are too close to The Linq and The Quad to be shed. 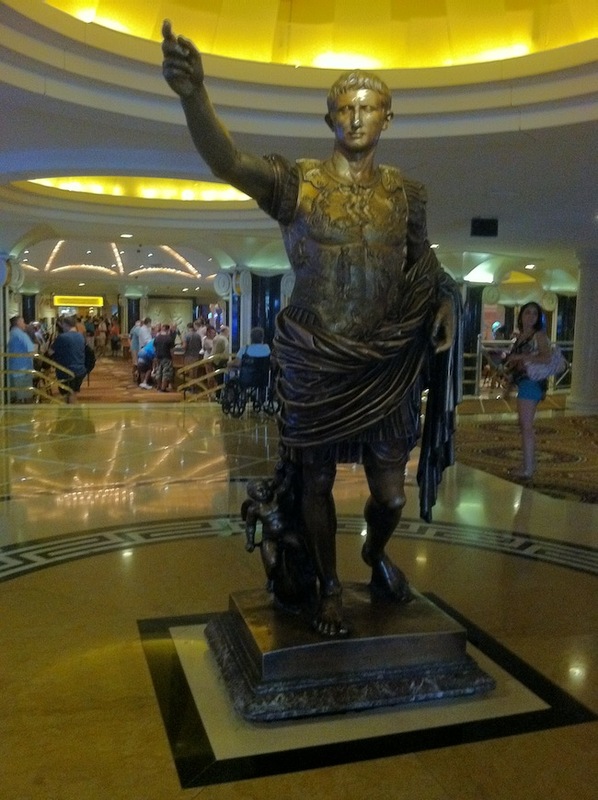 These properties give Caesars a great chance of capitalizing on the traffic in the area. I’m not sure about Caesars properties in other markets but you’d have to imagine a few of those will go too. I’m more focused on AC and LV but you probably know that already. By shedding some properties in AC and LV Caesars will be able to focus on creating a better value for their customers at the properties they still own. In theory a leaner staff would focus on housekeeping and maintenance while corporate focused on creating a better product for the customer. Additionally by selling properties in each market Caesars will bring in more competition. Competition always benefits the customer. Increased competition will force all hotel operators in each city to be on their toes to stay ahead. Again, that’s theory. Not only will increased competition in Atlantic City and Las Vegas provide better casinos and hotel experiences but they will also add new players clubs that would link other cities and casinos throughout the United States with Atlantic City and Las Vegas. The new customers will benefit all casino operators – not just the property owners bringing in the customers. When all is said and done I envision Caesars having the potential to come out of bankruptcy a tighter company able to provide more value for their casino customers. I also envision increased competition in Atlantic City and Las Vegas which will benefit casino customers by cleaning up old properties and offering new players club reward opportunities. Even though it’s embarrassing it looks like Caesars filing for bankruptcy may be a win-win. Note: Caesars hasn’t filed for bankruptcy, this is just speculation for when/if they do.